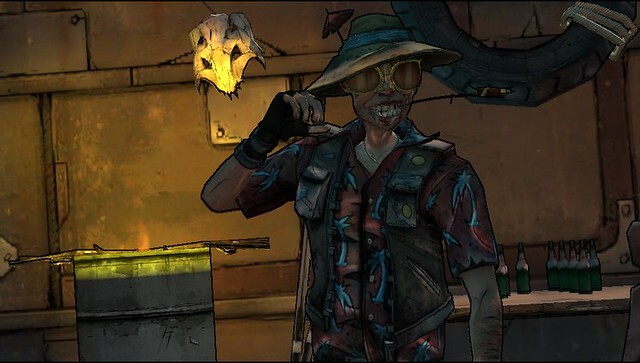 Would love to see Borderlands 1 on Vita. This sounds like a great update. Looking forward to hearing feedback on it. I don’t see any performance improvement at all. Frame rate is still the same and still getting frame skips with the same frequency prior to the patch. Walking audio still fades, net error crashes still there, gosh even the menu lag and unresponsiveness is still there. This was more of a control optimization update with a area fix in which is like visited 3 times in your life unless you make multiple characters. Own the game, it´s really awesome! Any news on an ad hoc multiplayer patch? Please allow binding actions to all 4 corners of the screen. That would get rid of the need to use rear touch altogether. Any word on the remaining dlc ? The content in this is great don’t don’t me wrong but I would love to see Assault on Dragons keep on vita. Hi Gio!!! Thanks for yours and Iron Galaxy’s commitment to the game. It’s truly a gem in the Vita library, my most played Vita game and its largely thanks to the work you guys put in. Much appreciated! Wow, that’s really cool that you can control the size of the backtouch input area! This should be an option accessible in all games! What i’d like to see is a patch that allows the game to run in Vita’s Alternate Power Mode when it’s played offline. The patch hasn’t noticably changed anything for me. Framerate is still choppy when trying to move the camera with max sensitivity, it also still drops when fighting multiple (like three Bullymongs) enemies and audio issues are still present. Apparently, you can’t even get the trophy for uncovering every map in Scarlett’s DLC too. It made a wrong impression on me and I don’t have the persistence to bother examining anymore of it. What a bummer. At this rate, expecting one extra frame per second could have well been too much to ask for and my hopes were pretty low to start with. – The radio tower climb challenge is bugged. An invisible wall prevents you from landing on a beam. Will there be a patch to address the other issues and make he final trophy obtainable? Awesome news! Thanks for sticking with it. I love having this game on my Vita! Great, I love playing this game on my Vita. If anything, it would be nice if one could directly open the map by touching the mini-map. I really want the ability to map the D pad arrows to whatever I want and disable rear touch! I have played this game since it came out with bl2 bundle. I started from lvl 1 to lvl 61 and got couple legendary and 100s hours put into that character. Framerate is still around 20FPS and dips into 10-15 when you are into battles. Sigh I guess I expected too much from this patch. Also any news on Tiny Tina Missing DLC and others? Big thumbs up for working to improve the game. Thanks for listening! Amazing news! Thanks a lot! Keep improving the game! Any chance of a performance update in the near future? Great to hear about the update. Keep up the good work! But I’d like to know if we should wait for any other patches or updates for the game. How about the addressing of Trophies. We were told by sony and ign that they will be a separate trophy list. That if you transfer your file from PS3 to PSVita Version we should get another Plat. Why has that not happen? As a trophy lover I feel very betrayed by this. thanks for the patch !!! Great Job Iron Galaxy great port now convince Sony and Capcom for Resident Evil Revelations. The perfect portable resident evil that should have always been on the Vita. Glad to see that the game is being worked on, but it doesn’t sound like the main issues (crashing and framerate) were addressed. Is it safe to at least assume the constant crashes will be fixed in a future update? Ok, so does this fix the issue where text turns into rainbow colored blocks, as well as your menu and characters? After I saw this once, I turned the game off and refuse play it until that’s taken care of. That was just the last straw in a slew of issues I saw. It looks like this update fixed basically nothing as far as performance goes. I had the above mentioned problem, disappearing weapons, clap trap teleporting to me, etc. Thank you for the update guys! Could you folks kindly add an graphical option to turn off outlines for a performance boost? Improve performance by (optionally) turning off wifi/ enabling airplane mode? Another thing, which may not be as easy of a fix — Certain gun sights/scopes could use tweaking. Some of them are impossible to use on the Vita. Example the Gunsight with red laser crosshairs. The red X it is so thick and jaggy, with pseudo alpha around it, that Its very difficult to see your target thru – if at all. Many a times, even if a gun is good, if it has a bad gunsight, I have to ditch it. This is my major non performance related gripe. Otherwise, its a fantastic job on porting such a massive game to a handheld – Really one of my top games, despite hokey reviews. Just could use a few improvements. Gah, one more request for a fix. Can we possibly have an option to not have ‘Reload’ linked with ‘Open Chest on the same button’? The thing is, when I play Mechnomancers anarchy build, I always inadvertently reload when trying to open chests – and in the process, losing my anarchy damage multipliers (since reloading removes the stat boost). I’m all fine with disciplining myself to not reload a gun for that perk, but I have to be able to open loot chests without accidental penalty. Awesome news about the patch. Been playing this nonstop since its release to the Vita. Please keep updating the game. Fixing the game slowly and slowly… Love Commando, and Mechromancer! For back control problems in all Vita games. Why not make it so you can slide your finger up to trigger a move instead of tapping? Tap then drag up (or down, to the side). I would think this would fix the problems for all games that have this annoyance. – Final Fantasy VII: Crisis Core for PS Vita would be nice on a HD Edition with full trophy support. – Final Fantasy VII Trophy Steam Edition for PSN with PS Vita Compatibility again, full trophy support. – The 3rd Birthday – HD Edition with PS Vita Compatibility and full trophy support. – Parasite Eve sequel to Parasite Eve 2 or The 3rd Birthday Spin off with RPG/3rd Person action Elements. A Resident Evil title for PS Vita. or Bring Revelations to the PS Vita. Ni No Kuni for PS Vita trophy support. More AAA titles for Vita, although indies are great, it will eventually come down to great titles for device sales. Just wanted to get it off my chest. I would very much like to purchase the Tiny Tina DLC for the Vita version. 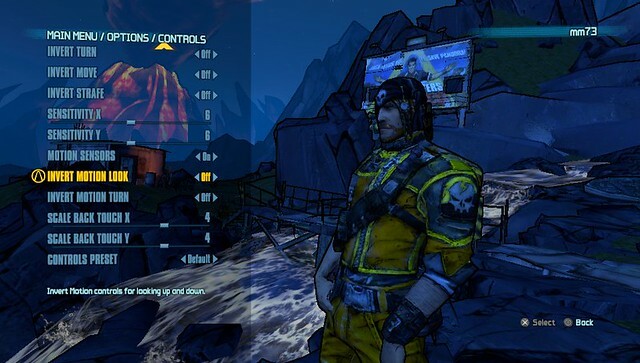 I like Borderlands on PS3, but it feels like a “bigger” experience on Vita, if that makes sense. Just seems so much more impressive on a handheld. There are still some issues that need polishing up in the next patch, but I’ve not found anything gamebreaking myself and I’m still amazed you crammed this onto a portable system. Borderlands 2 is a great Vita title. More DLC, and more games like this please. I deliberately bought this full price to encourage more of this sort of thing. Good job supporting the game on Vita…thats really cool.